When society collapses you will eventually have to find a way to get your own food by hunting and foraging for it. If you think prepping is all about storing away food and water, you are absolutely not going to survive. There is simply no guarantee you will have food at any point in time after the collapse. You might have to flee your home, leaving your preps behind. You might have looters come and steal your food. Even if you manage to get through the collapse while bugging in and you get by without any major incidents, you will still eventually run out of whatever you had stored away. Regardless of your situation, you need to build some hunting and foraging skills. One way to hunt is to create a snare. A snare is a way to catch rabbits, hares, and other small fur-bearing game without the use of a gun, knife, or other type of weapon. All it takes to set a snare is some knowledge and skill and a little ingenuity. Plus, it is a great way to catch game without having to stay put. You can set your snares and then go about finding water, building a shelter, and doing other necessary tasks. Use wire cutters to cut a length of wire that is 2.5 feet (about the length of your arm). At one end of the wire, bend the wire around your finger to create a loop that is about an inch in diameter. Leave a tail of wire 1 to 2 inches long. Wrap the tail you left hanging from the loop around the long end of wire directly below the loop to secure the loop. You want to make this tight to make the loop solid so it doesn’t move much or come undone. The loop will act like a slip knot. Take the other end of the wire and feed it through the loop you made. Check out this video for a visual of how to make a snare loop. You now have the snare loop, and because of the slip knot, the size of this loop will adjust to tighten around the rabbit or other animal you capture. Now you need to know how to set a snare trap. There are a few ways you can secure a snare loop to effectively create a trap. Each has its advantages and disadvantages. Some of the more basic traps rely on the animal tightening the snare wire around its own neck with its movement while is struggles to free itself. Other traps rely of having a sort of spring mechanism that will be set off, pulling the animal from the ground and tightening the snare wire around it. Let’s take a look at them in order of how easy it is to build it. This is a good option if you have access to a fence that has larger mesh holes. If you notice that one of the holes in the wire mesh has frequently been used by rabbits or other small game, this is a great place to set your snare. You can usually see signs of animal passage because fur will get caught in the wire where the animal passes through. All you need to do is secure your snare loop on one side of the fence so the animal will pass through it when they pass through the hole in the fence. This snare is stable and very easy to set up because you can usually attach it right to the fence. 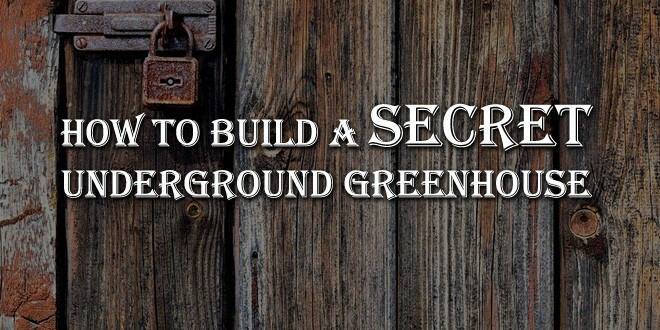 Its main limitation is that there are a limited number of spots where you can set this up. The free-standing snare is easy to set up. The long end of the loop wire is secure in the ground either by a peg, a U nail, or a sturdy branch that can be driven into the ground. The snare loop is secured to the object driven into the ground and left sticking out where the animal will run through it. This trap requires the animal’s movements to tighten the snare wire, which might make it take longer for the animal to die and might cause greater damage to the fur and flesh. This is similar to the free-standing snare except you will find a way to hang it so the snare loop is suspended over the path where the animal will run through it. You can suspend this snare from a natural overhanging branch or you can rig some branches so that one is held up by two others and suspended across the space where you want to place the trap. Again, the movements of the animal cause this snare to tighten. The hooked snare is a bit more complicated, but very effective. For this snare you will need a good location (we’ll talk about this next!) with a sapling or branch in a tree that will bend close to the ground. Alternatively, you can use a strong stick or branch that is dead, but still has some spring left in it. Push the thicker end of this large stick into the ground (place a large stone over the end that is in the ground if needed to keep the stick from coming out of the ground). The stick can be used as is or bent over a log or large rock. You will also need two smaller sticks that each have a protruding piece that will allow the two sticks to hook together. Alternatively, you can carve notches into the sticks. To do this you want to carve horizontally on the trigger stick, about 1 inch from the bottom end, and then diagonally (45 degrees) starting about 1 to 2 inches from the top and meeting the inside of the horizontal cut. This leaves a wedge-shaped notch. The notch on the stick driven into the ground will be opposite, with the horizontal portion of the notch near the top. This way the two notches will easily hook together. Drive one of the notched sticks into the ground across the path from the sapling/branch. Tie a string or thin rope to the sapling/branch and then secure the other end of the rope to the trigger stick (the stick that is not in the ground). Secure the snare loop to the trigger stick. Hook the trigger stick to the stick that is driven into the ground. The rope connected to the sapling/branch should be short enough that the sapling or branch bends toward the ground, creating tension. Ensure the snare loop is directed into the path. This snare will capture the rabbit, which will dislodge the trigger causing the sapling or branch to lift the catch off the ground, tightening the snare loop and effectively strangling it. There are a number of variations to this type of snare, but essentially, you need a way to secure the end of the trigger stick. Alternatives to hooking it onto another notched stick include tucking the end under a large stone or bending it so it is lodged behind another stick (no notches involved). You can also carve a box notch into the stick lodged in the ground, using a trigger that is simply a small stick that fits into the box notch as a plug. We have talked a lot about how to build the snare loop and about the different snares you can set, but no matter how good your snare is it won’t catch anything if it isn’t positioned properly. You have to put your snare in the right location and in the right position. 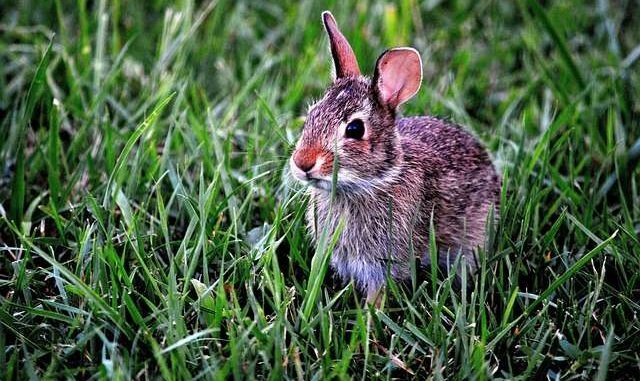 The snare needs to be put in a location through which rabbits and other small fur-bearing animals tend to pass, but far enough away from domestic residences that you don’t risk trapping pets. The best place to put the snare is along an obvious and well-used trail through the forest. When it comes to positioning the snare, the key is to position it so that the snare loop is suspended directly in the middle of the path about 3 to 4 inches above the ground. You can position some small twigs through either side of the loop to ensure that it stays in place. You also have to make sure the animal actually runs right through the snare, rather than to one side or the other. If you have found a very narrow part in the trail, this might not be an issue, but if there is space around the snare, the rabbit might pass around it. Fortunately, the forest location provides you with the opportunity to funnel the animal in the direction in which you want it to go. Simply gather foliage and sticks around the snare, forcing the rabbit to go directly through it. The best setup is to make numerous snares and set them along the trail at intervals. This way, if the rabbit misses one snare, there is another one to catch it. It also gives you the opportunity to catch more than one animal at a time, providing you with more food. You can check out this video that shows you how to choose the right location and how to set up a simple hanging snare. Remember to check your snares every day. If you do catch something, you want to get to it before something else does and while it is still a fresh kill. You will also hopefully get to it and ease its suffering if the snare didn’t kill it quickly. Checking your snares daily will also give you the chance to reset or adjust the traps if anything has disrupted them. A final word on snaring animals. If you are practicing setting snares pre-collapse, then you need to be aware of the laws regarding animal trapping and snaring in your state, province, or country. You aren’t necessarily going to be allowed to go out and snare animals at any time of the year and you will need a license. The best thing to do is contact your local authorities to find out the details regarding licensing and restrictions. Snaring animals is an effective way to capture rabbits and other small game to supplement your food supply. You can easily practice making a snare loop and even positioning a snare right in your back yard, but the best practice is going out and actually snaring an animal. As with any skill, this is one you should train before you need to rely on it for your survival. By the term U nail, I presume you designate a steeple (or staple) as in:http://www.walmart.com/ip/Keystone-Steel-Wire-72210-10-lbs.-2-inch-Fence-Staple/50149742?wmlspartner=wlpa&selectedSellerId=14&adid=22222222227037741098&wl0=&wl1=s&wl2=c&wl3=85432405970&wl4=&wl5=pla&wl6=78801828632&veh=sem. These are useful for running trigger lines for trip wires to signal devices, flares, and even tin cans with pebbles – as well as for running snare lines.